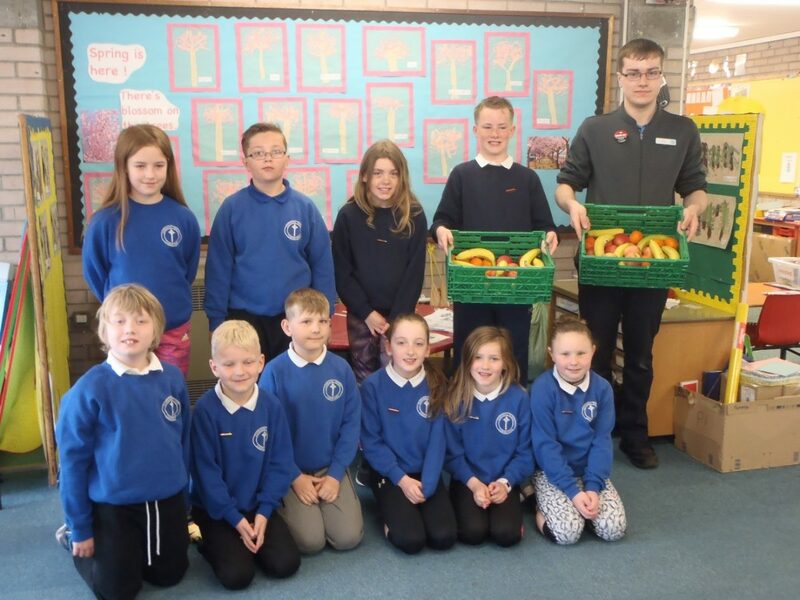 The Cooperative in Campbeltown are very kindly donating fruit to each class at Castlehill Primary school over the next few weeks. 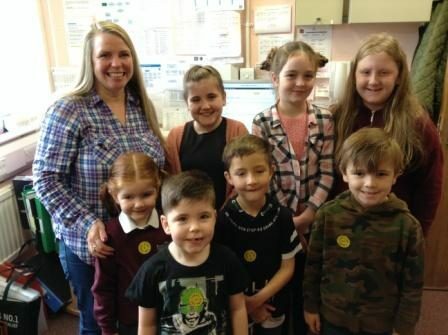 This is part of the Pupil Council’s initiative to encourage all pupils to eat a healthy snack. 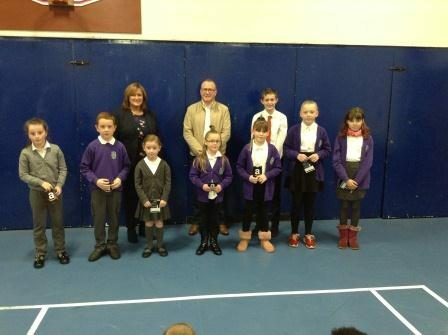 Below is a photo of the Pupil Council receiving the fruit from staff from the Coop. 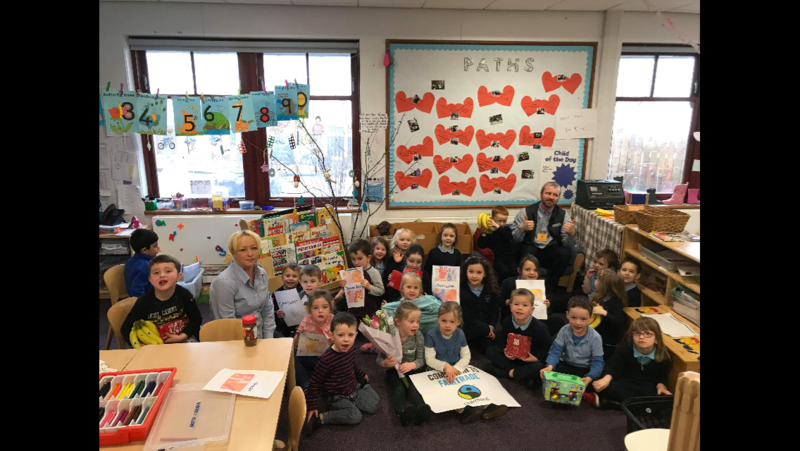 Primary 1 and Primary 2 children were the first to receive their free fruit, with the other classes receiving fruit over the next few weeks. The Pupil Council would like to thank the Co-op very much for their kind donation of fruit for the school. 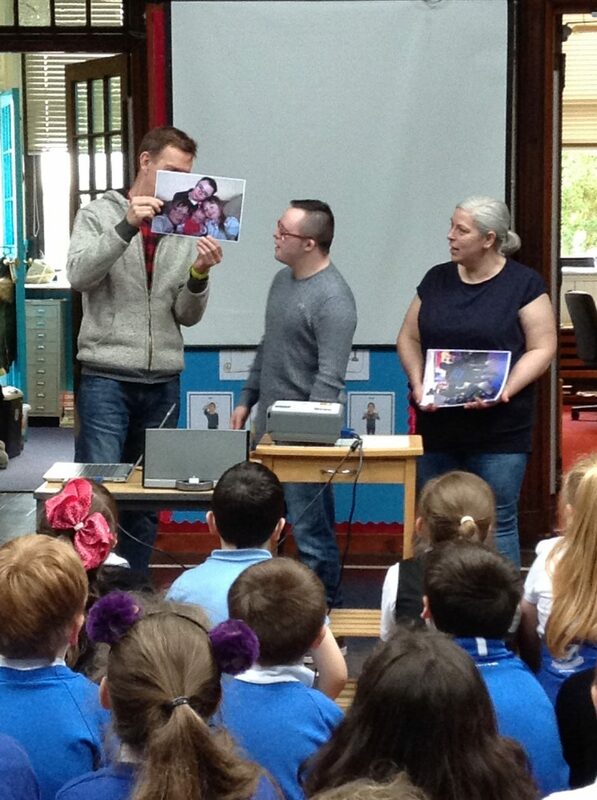 Dunoon Primary School had a tremendously fantastic day! 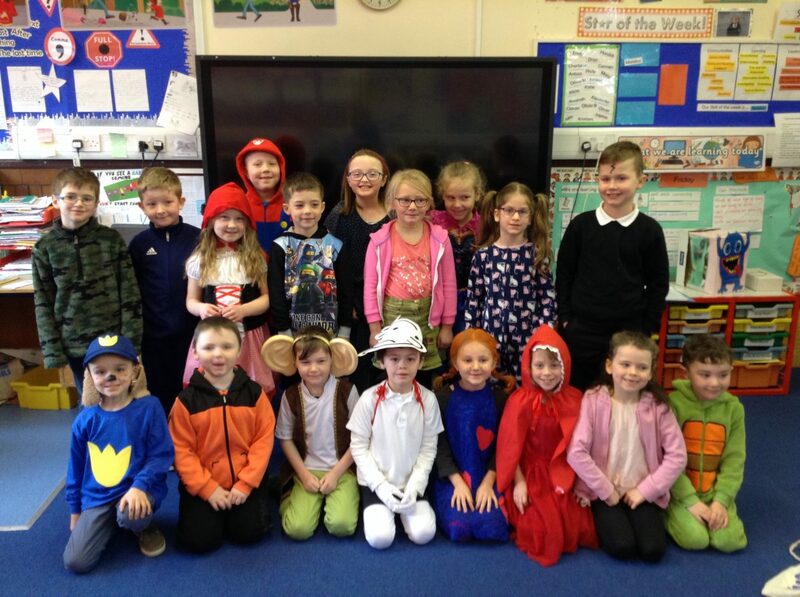 The pupils took up the challenge of dressing up as their favourite book characters! 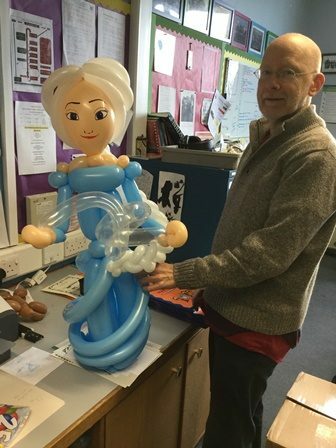 This was to celebrate World Book Day. It’s a celebration of authors, illustrators, books and (most importantly) it’s a celebration of reading. In fact, it’s the biggest celebration of its kind,designated by UNESCO as a worldwide celebration of books and reading, and marked in over 100 countries all over the world. 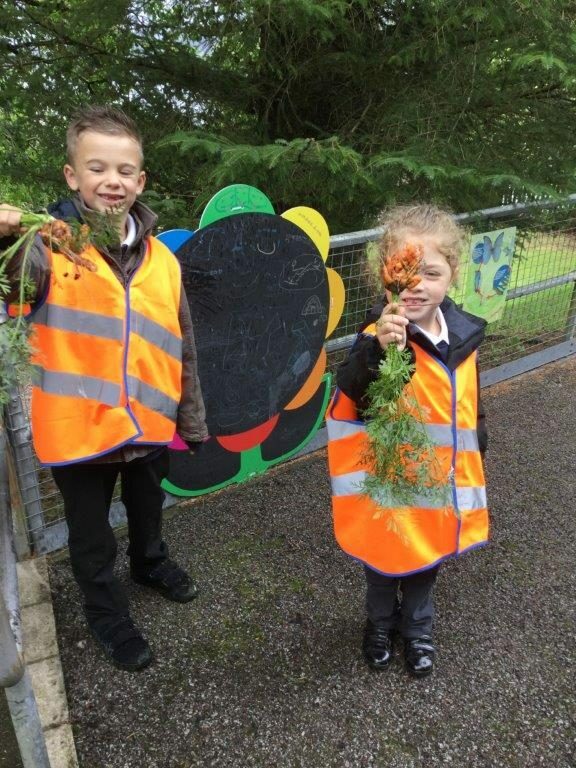 The Early Level children at Tarbert Academy have been very busy learning about Transport. 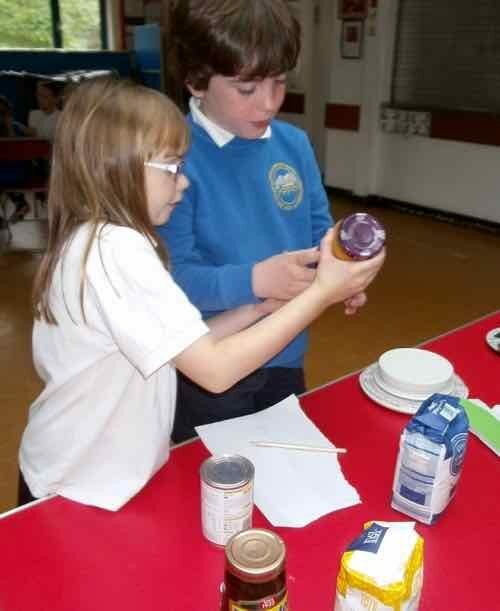 Working with our local Co-op the children also celebrated Fairtrade fortnight, learning how the food gets to the shops. 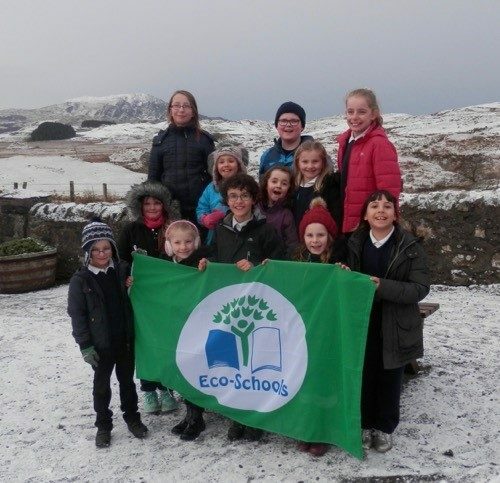 Southend Primary School have successfully renewed their Green Flag Award by environmental charity Keep Scotland Beautiful in recognition of their Eco-Schools journey. 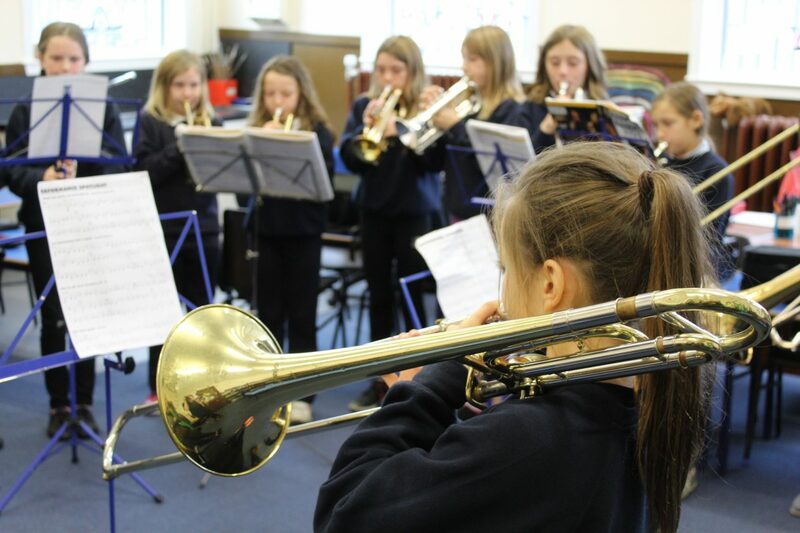 Part of the focus has been on beach and marine litter with workshops undertaken with the GRAB trust and developing their outdoor space as a resource for learning and recreation. They have also been improving their natural habitat for birds and insects. 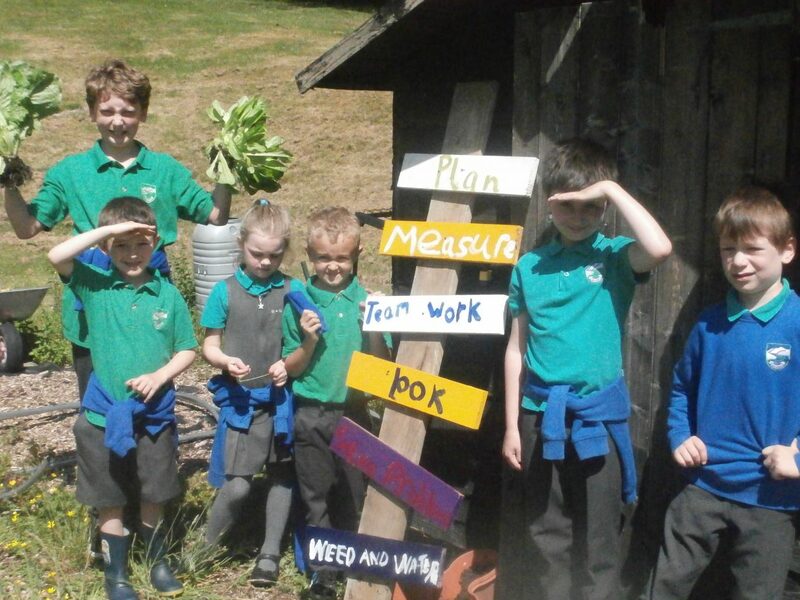 The children’s health and wellbeing has also been a major focus with the installation of a play/climbing frame to provide exercise and role play whilst outside. Where does the fish for our dinner come from ? 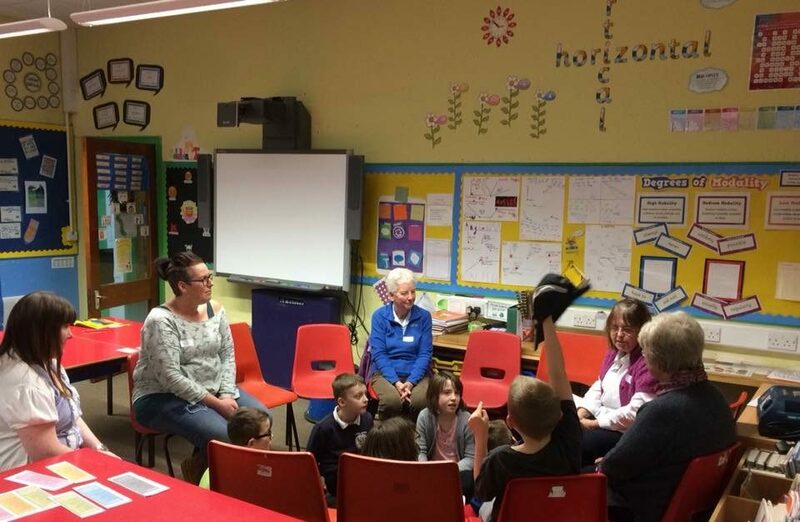 During December Andy Crabb (filmmaker) and Dr Suzi Billing from SAMS came to Taynuilt Primary to teach the children how to make short animation films based around aquaculture. 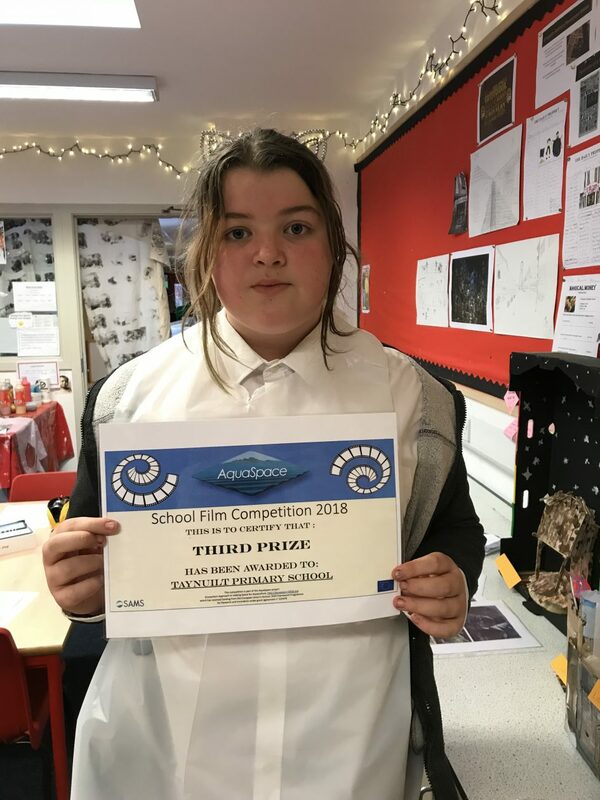 One of Taynuilt’s entries (The animation of Billy the Scallop and the naughty Octopus, by Bernadette McMullen P7) was judged to be 3rd overall. The film will shortly be available on the Aquaspace website. 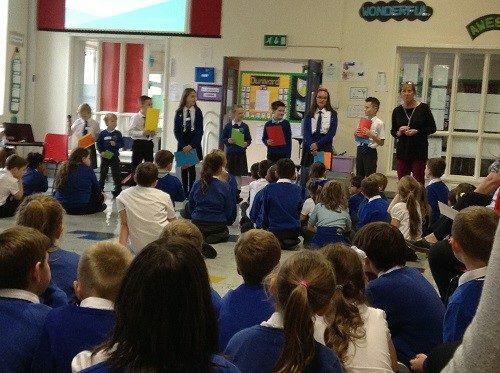 As part of Maths Week pupils at Strath of Appin Primary worked together in their clans to solve a daily maths-themed challenge. 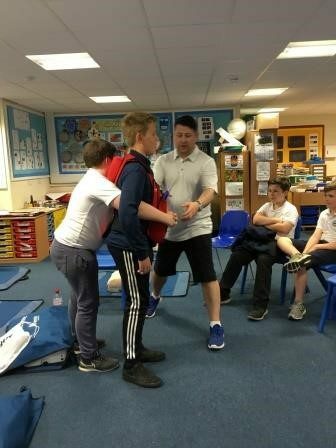 The challenges were varied and drew on a range of mathematical skills as well as encouraging good communication skills and effective teamwork. Maths Week at Southend Primary School. At Southend Primary we have been learning to improve our mental agility recall. 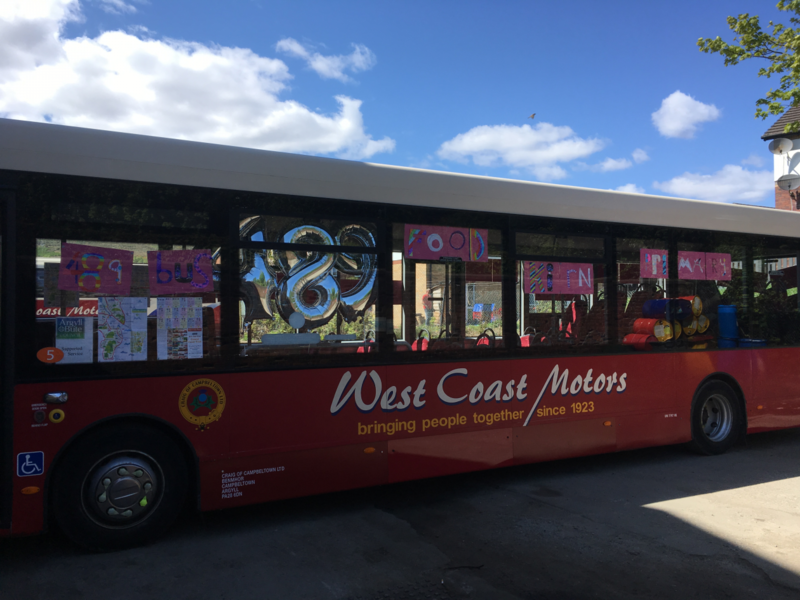 This special week was a chance for children and teachers to showcase the creative and innovative ways of making maths count. 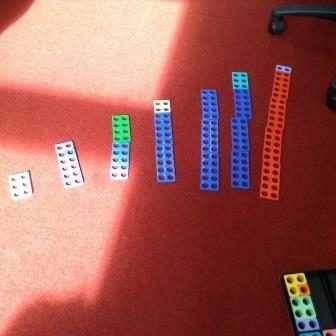 We used Numicon to help us learn our times tables and to create number bonds and stories.